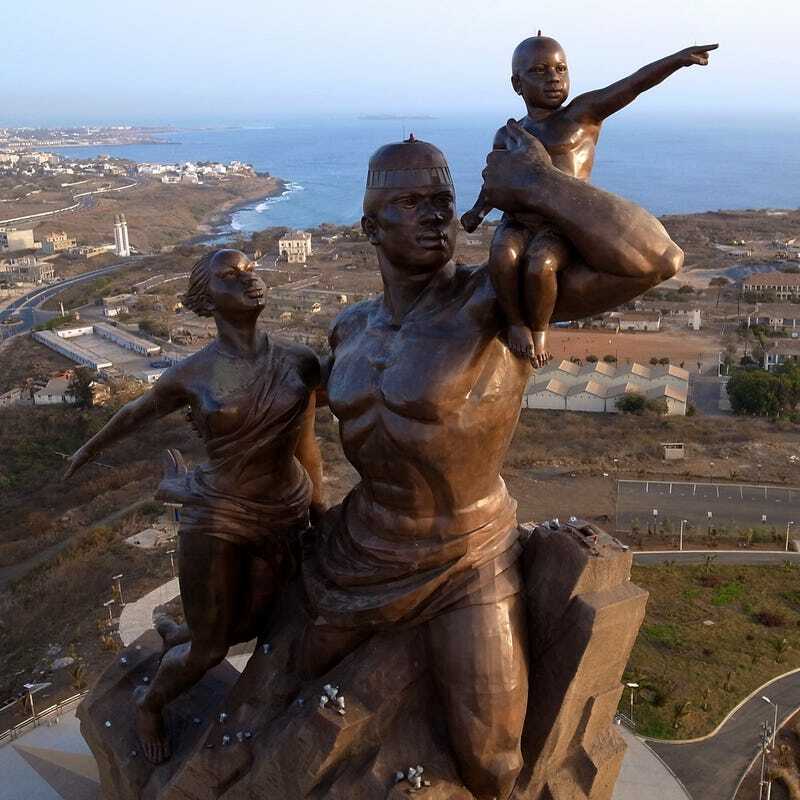 The monument, which sits atop a hill surrounded by trash heaps and unfinished homes, depicts a man, woman, and child who are ostensibly meant to be African yet look glaringly like chiseled Soviet caricatures. The statue would not be quite so alarming if it were not for its sheer size, topping out at over 160 feet of bronze nationalism, a height that dwarfs the Statue of Liberty and makes it the tallest statue in Africa. The statue was the idea of then President of Senegal, Abdoulaye Wade. Wade was an octogenarian whose presidential service was marred by allegations of widespread corruption and nepotism, accusations that were only strengthened by the construction of the African Renaissance Monument. Opponents of the statue noted that the endeavor cost the Senegalese government over $27 million despite a country-wide economic crisis. In addition to the exorbitant price tag, the statue received a great deal of criticism due to the fact that it used very few African people in its creation. Despite claims to the contrary, it seems that the piece was designed by a Romanian architect and subsequently built by a North Korean construction firm. The design itself has also come under fire for its startlingly sexist overtones given the ripped male figure seemingly rescuing a damsel whose single breast has been revealed in the swoon. However despite the myriad protests and complaints, the African Renaissance Monument was completed in 2010. The giant landmark is expected to bring a great deal of tourist revenue to the country, however in a fiercely contested move, Wade himself claims 35% of all such revenue citing intellectual property rights. It seems like the renaissance might have a bit farther to go.